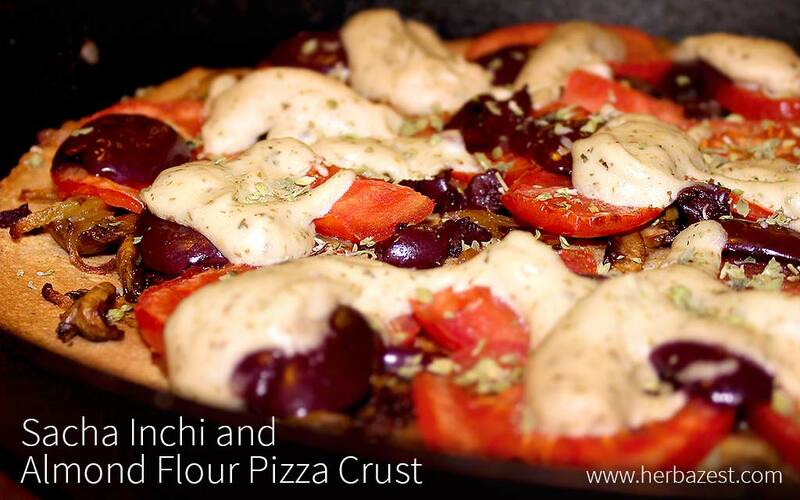 A healthy alternative to the classic wheat flour pizza, this dough only requires a few ingredients, namely almond flour, rich in dietary fiber and minerals, and sacha inchi powder, a great source of vegan protein and healthy omega fatty acids. Gluten-free and grain-free, this is a very tasty and crunchy crust that bakes quickly and can be enjoyed with your favorite pizza toppings. This flourless pizza crust can also be topped with other vegetables and herbs. Try it with broccoli, bell peppers, spinach, or basil.